2) HTML table Alternate Row background color. 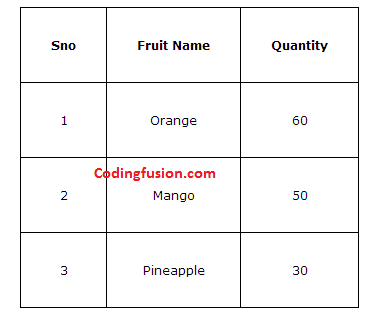 3) HTML table Alternate Column background color. "Column having value Disclaimer is on top of the column"
4) Show your favorite movies in container having title.